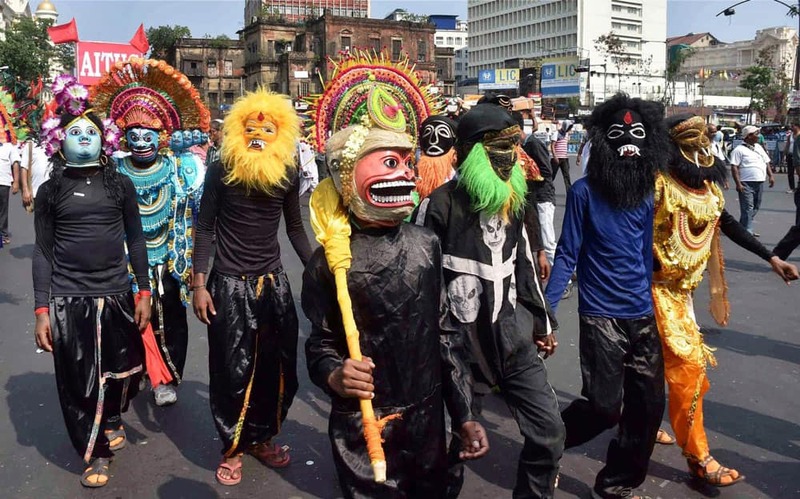 All India Trade Union Congress (AITUC) activists, wearing masks, carrying out a protest rally against the state government over various issues in Kolkata. Ambulance workers raise slogans during the ninth day of their protest against a private health care company for their various demands, in Bhopal. 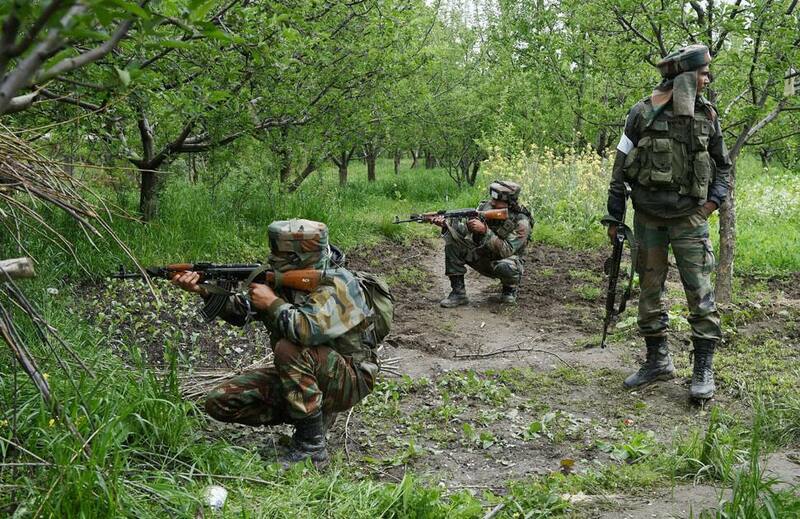 Indian Army personnel taking positions in an orchard field during a crackdown at a village in Shopian district in South Kashmir. 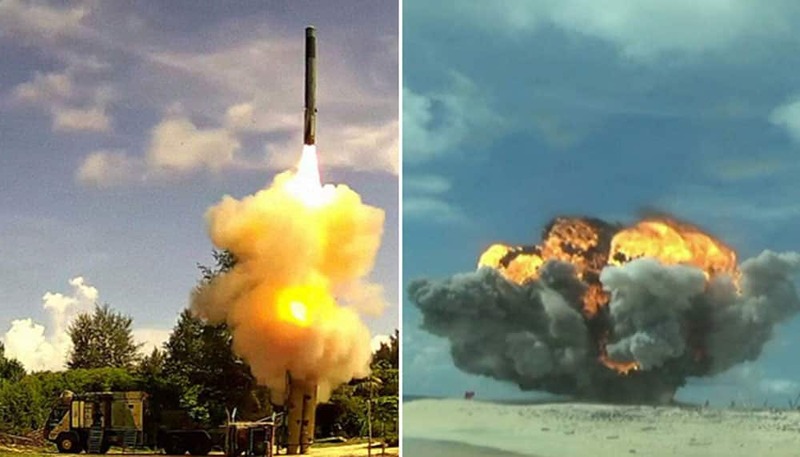 Indian Army test fires advanced BrahMos Block III land attack cruise missile system in Andaman and Nicobar Islands for the second consecutive day. 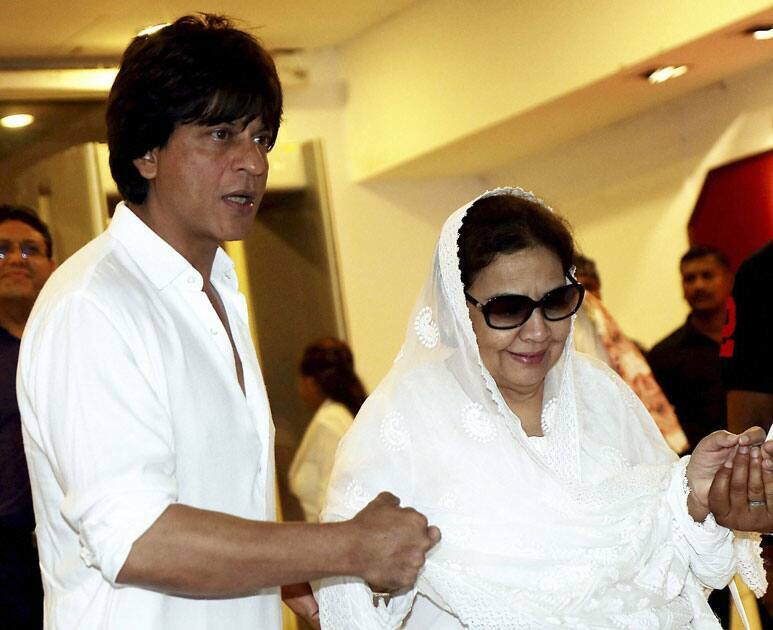 Bollywood actors Shahrukh Khan and Farida Jalal arrive to attend the prayer meeting for late actor and politician Vinod Khanna, in Mumbai. 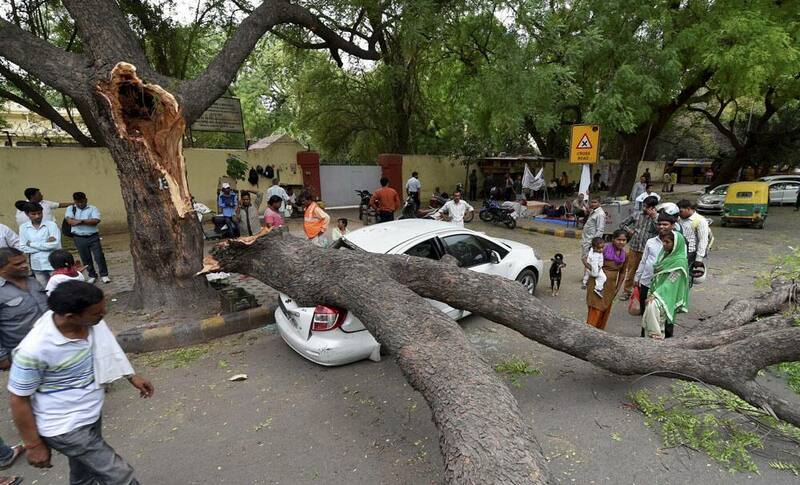 People looking the car that smashed after fall of a tree during a dust storm in New Delhi. 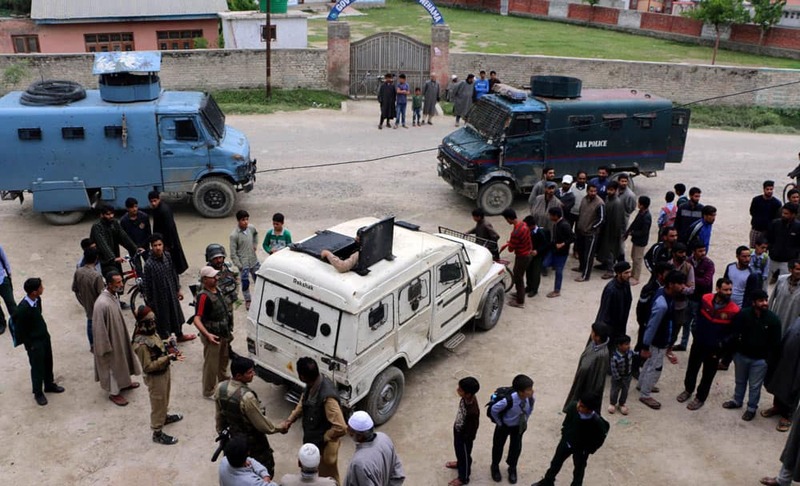 Security forces personnel and locals near a bank which was looted by suspected militants, in Pulwama district of south Kashmir. 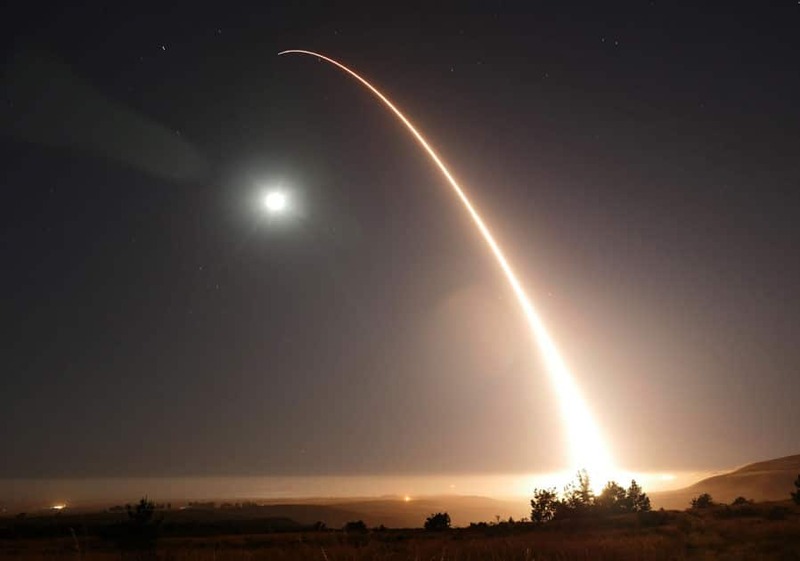 An unarmed Minuteman 3 intercontinental ballistic missile launches during an operational test just after midnight at Vandenberg Air Force Base, Calif.
Bollywood actors Ayushmaan Khurrana and Parineeti Chopra during the promotion of their film Meri Pyari Bindu on the sets of a TV show in Mumbai.